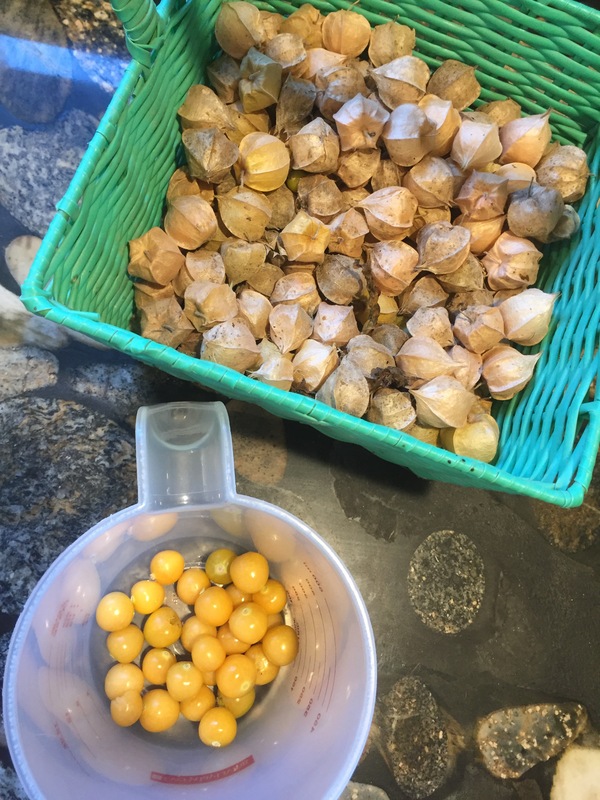 The abundance of ground cherries in my garden continues to nudge me towards finding creative recipes and uses for them. I haven’t yet made salsa but I did find a pie recipe that we enjoyed. We thought it was worth saving to make again so I thought I’d also share it with you. I found the recipe on Pinterest. Here’s a link to the original site that posted it, where you can find three other variations as well. Check it out! Roll out your two crusts to fit a 9″ pie pan. Put one in the bottom of your pan and set the other aside. Take those husks off your cherries! Combine the tapioca, sugars, almond extract, nutmeg and salt in a medium bowl. Cut the mixture in half and put one half in the bottom of your pie crust, spreading it around evenly. Sprinkle the rest of your tapioca mixture on top and dot the butter on top of that. 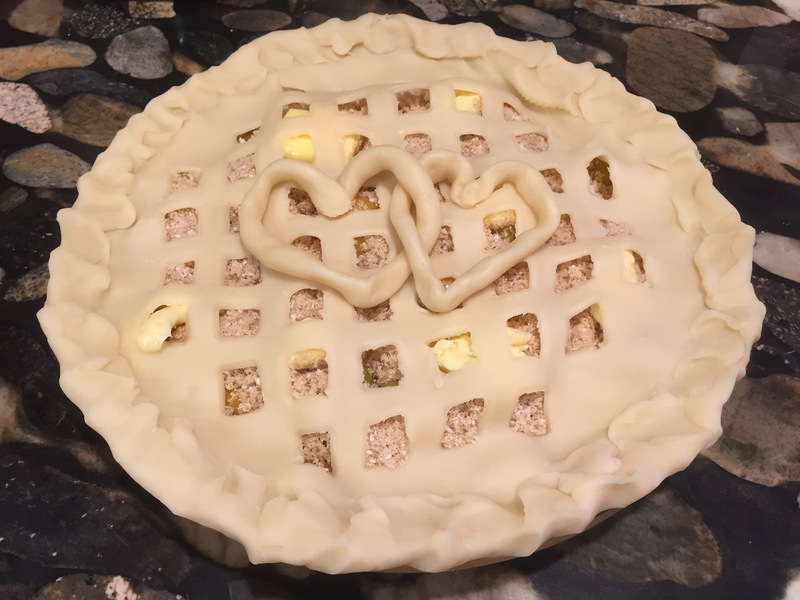 Cut your second crust into a lattice or some other decorative pattern then place it on the top of the pie, folding over and sealing the edges. Bake ten minutes then lower the heat to 350 degrees and cook an additional 45=50 minutes. Let it cool before cutting. 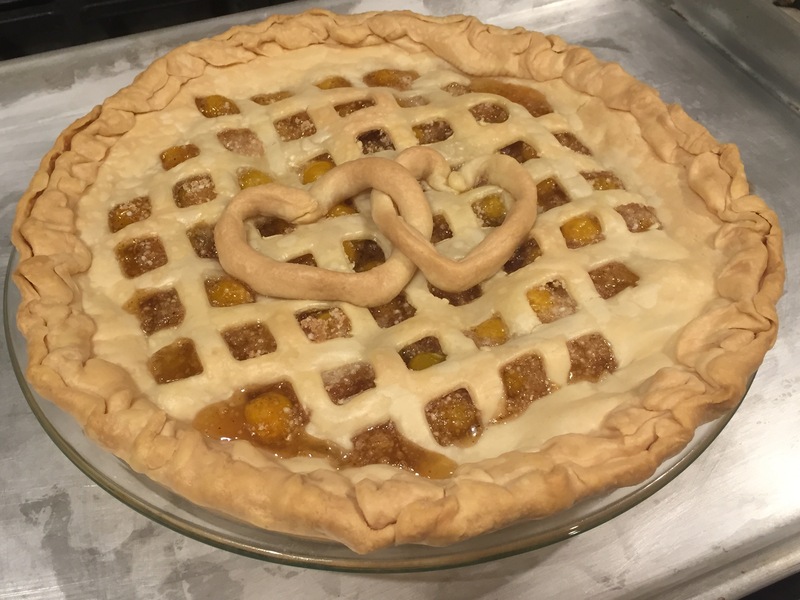 The pie filling had a nice texture and taste to it. My only suggested change is to use slightly less almond extract. I’ve never used tapioca in a pie before but I like it. P.S. – If you want to try some ground cherry recipes too and you live near me, give me a call. I have ground cherries for sale. $2 for a pint container. Perfect timing. 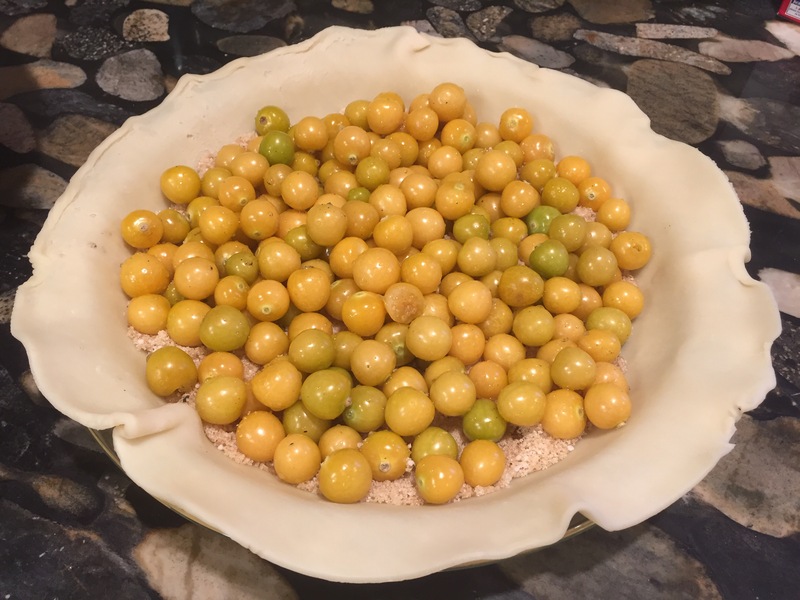 I just harvested some ground cherries and needed a pie recipe. Thank you!